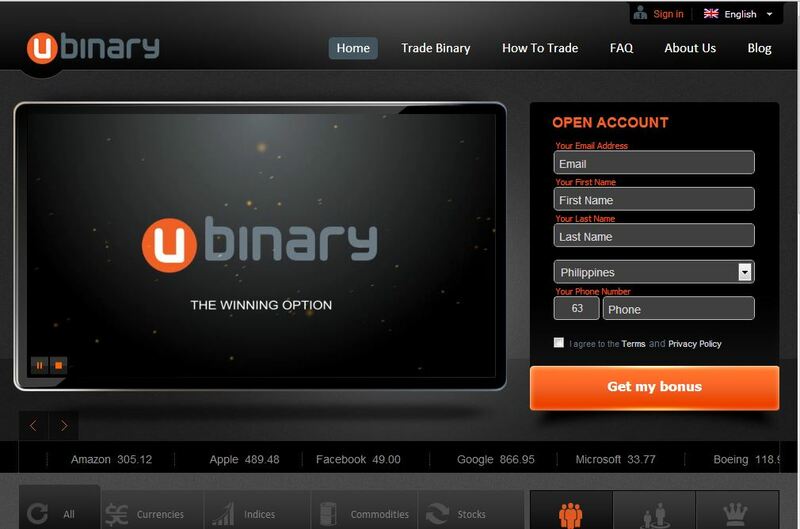 Although a newcomer in the industry, Ubinary is becoming one of the leading binary options brokers in the world. With its promise to provide all traders with an unmatched trading experience, many traders are constantly getting attracted to trade digital options on its platform. But with this sudden influx, questions on whether this trading brokerage is really capable of providing top-quality trading that is safe, reliable, and profitable begin to surface. Find out in this Ubinary review if this young broker site has what it takes to be the next number one binary options broker in the world. To achieve that status, it’s required to have a top-notch trading platform. After all, traders won’t enjoy binary options trading if the platform causes trouble before, during, and after trading sessions. Fortunately for Ubinary, its ParagonEX-powered trading platform functions very well and even exudes a professional and simplistic nature. This broker site succeeds in providing a user-friendly platform that even beginner traders will have an easy time starting a contract. However, experienced traders may find the trading products to be lacking, because you can only choose from four trading types: Above/Below, 60 Seconds, 2 Minutes, and 5 Minutes. Unlike other well-established trading brokerages that offer a wide array of trading options, Ubinary seems to be lagging behind in this category. Likewise, its asset index isn’t the largest. With only 62 tradeable assets, traders may rather choose another broker site instead that has more assets offered for binary options trading. But what it lacks in the trading products and assets departments, it makes up for with its high payouts. Finish your contracts in-the-money and receive high returns of up to 85%. And whichever trading product you choose to use, you will surely earn high profits as long as you make wise predictions for every trade. But should you feel that your knowledge in binary options is inadequate, feel free to use the resources provided in its website. You can refer to the news updates, strategies, and market analyses provided by expert analysts to help you make smarter calls in trading digital options. Another way to gauge the fate of a broker site is by checking its customer support services. For the case of Ubinary, it has a customer support team that is available 24 hours a day via chat, email, and phone. But it’s worth noting in this Ubinary review that it’s somewhat difficult to get through the phone lines, so it’s better to reach them through email or chat. But regardless of how you contact the support team, you can bet that your concerns will be professionally attended to. Besides, it’s Ubinary’s mission to deliver unparalleled customer trading support services. With all the strong and weak points already pointed out, it’s time to wrap up this Ubinary review. Check out the trading experience it offers to see it for yourself if it’s ready to take binary options trading by storm. All there is to say now is that with enough maturity in the industry, it wouldn’t come as a surprise if Ubinary ends up at the top.